Financial advisors stand at a crossroads. One path is grounded in traditional investing. Advisors who remain on this route face numerous hazards that impair their clients’ long-term wealth and endanger advisory viability. The other path requires practitioners to adapt by embracing technology and goals-based solutions. Choosing the right road is vital for sustaining and growing advisory businesses in the years ahead. Industry veteran and financial technology expert, Bill Martin, CFA, creatively explains how financial advisors can sidestep the seven major hazards their clients face in conventional investing by choosing the smarter path of goals-based investing. This rewarding journey shifts the focus of traditional investing from products and performance towards a collaborative, tech-enabled framework built on personalized advice. Goals-based investing redefines success in terms of achieving each client's unique needs, desires, and aspirations – an approach that clients overwhelmingly prefer and which, crucially, leads to better outcomes for clients and advisors. The Smart Financial Advisor is a must-have guide for advisors who desire to differentiate and grow their practices amid commoditization, fee compression, and increasing regulatory requirements. Martin skillfully combines captivating stories, compelling research, and practical applications to show how you can embark on this path, engaging clients and improving their outcomes along the way. 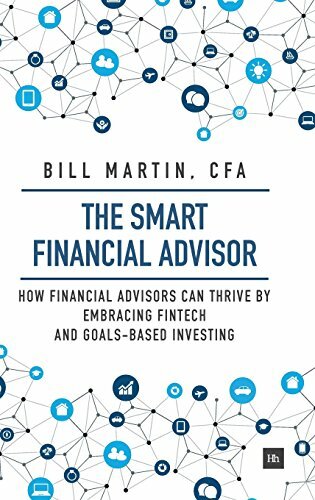 By adopting the fintech and goals-based strategies within this book, not only will you learn the secrets to survive today’s industry challenges, but you will also discover how to truly thrive as a smart financial advisor!